Technology, data, and analytics are changing our lives and society, and the emergence of IoT, AI, 5G, drones, and other recent technologies promises even greater transformation of business, healthcare, transportation, mobility, energy, safety, food, and more. With more than 50% of the world's population now living in urban areas—and rising rapidly— cities are becoming increasingly more important. The rapid advances in technology and increasing urbanization present amazing opportunities for creating so-called “smart cities.” Cities will use these new, cutting edge technologies, diverse sources of digital data, and accelerating advances in analytics and AI to improve how cities are designed and operated, and how they will change our experiences and opportunities. 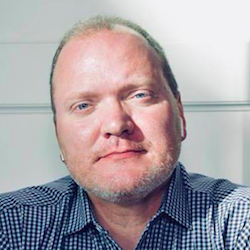 Jay Boisseau, founder and executive director of the Austin CityUP Consortium, and Chelsea Collier, smart cities expert and founder of Digi.City, will share recent advances and the potential future for emerging technologies to radically transform our cities and our lives. Jay Boisseau, Ph.D., is the Chief Executive Officer and co-founder of Vizias, a high performance computing and technology consulting firm. He provides the vision, strategy, and expertise for the application of advanced computing technologies for AI and computational science & research. Jay is also the President and founder of Austin CityUP, a smart city consortium of private and public sector entities—including companies, professional associations, government agencies and departments, public service providers, academic institutions, community, non-profit organizations, and individuals— in Austin, Texas working together to develop and apply technologies and infrastructure to improve transportation, safety, environmental quality, energy utilization, water utilization, health, education, housing, workforce development, and more. Chelsea Collier fosters collaboration between the public and private sectors to solve civic challenges, leveraging her experience in tech, policy, social impact, civic engagement and entrepreneurship. 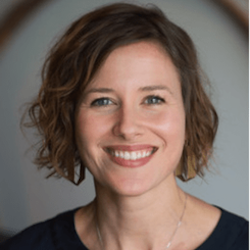 Chelsea is the Founder of Digi.City, Editor-At-Large for Smart City Connect, Senior Advisor for Texans for Economic Progress, and Co-Founder of Impact Hub Austin, one of 84 community spaces around the world committed to social and civic good. She provides consulting services through her firm, Intercambio Group. Chelsea is a Zhi-Xing Eisenhower Fellow (2016) and is a contributor to Inc.com where she writes about innovation and smart cities.